We are pleased to present our new NOVA league! 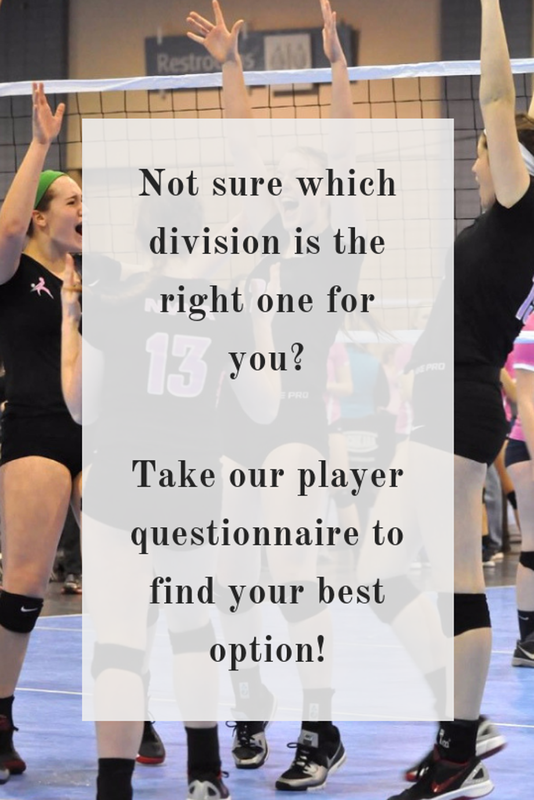 Over the years, Northern Virginia Volleyball Association (NVVA) has had many programs available to our families, and this year we are working to have even more opportunities for our players to get on the court. In recent years, when forming teams for our ICE, Select, Regional divisions for our club program as well as our in-house Galaxy league, we noticed that we had a need for teams that provide an experience that falls in between the two. With the introduction of NOVA into the lineup, we will be able to accommodate a diversity of skill-level, finances, and time commitments to help all of our players and their families to be as successful as possible in their endeavors. The NOVA division provides the same top-notch coaching and competition as our Regional teams, but with a more economical budget and predictable travel. For players with a busy schedule, the NOVA teams will have a full practice, but will not have the extra time commitment of our “Volleyball Genome” strength and conditioning program. Teams will have tournaments at either the Virginia Volleyball Center (VVC) or Richmond Volleyball Club (RVC) which has 2 facilities just like the VVC. Players will also enjoy an easier introduction to learning the ins and outs of working a volleyball match and will not require a USAV membership or CHRVA scoring and referee certification which can be time-consuming and complicated for beginners. This means lower fees and less hassle for new players who are just learning the game. Each team will practice 2 days a week for 1.5 hours on each day. Practices will be held at the Virginia Volleyball Center each week for your convenience. 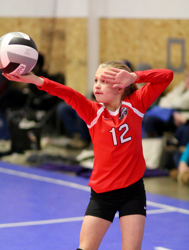 Coaches will progress through the basic skills of volleyball beginning with the fundamentals of passing, setting, hitting, and serving in order to prepare our players for competition as well as to help them to reach their volleyball goals. Our coaches strive to help our players reach their potential as we hope that all of our players will aspire to play at the highest level of competition and league is a great way to start that process. What will tournaments be like? Our teams will participate in tournaments in Sterling, VA (VVC) and Richmond, VA (RVC) and will be representing the Northern Virginia Region (NOVA) as well as NVVA in the Virginia Youth Volleyball League. Other regions participating include Tidewater Region from Chesapeake, VA and Central Region from Richmond, VA. These tournaments will allow our players to demonstrate what they have learned and get a feel for the more rigorous travel and larger tournaments of our other club volleyball teams. Unlike our in-house Galaxy leagues, these teams will have the opportunity to face opponents from other regions, but will still be competing with teams of similar skill level. We wish all of our families good luck in the coming season and we hope to see you at tryouts. If you have any questions or would like more information, please join us for “What is Club Volleyball?” Night on September 24th from 6:30pm-8:00pm. Visit our support page for answers to our most frequently asked questions!